Trio® CT jaw crushers are robust primary crushers available in over 15 models from 10×36 to 60×80, designed for the toughest primary crushing in mobile or stationary applications. Select models of Trio® CTHT jaw crushers can be built with an automated hydraulic toggle and tramp iron relief. The Trio® TC Series cone crushers offer a refined design and are universally accepted as the global standard for reliable heavy duty secondary and tertiary crushing. Trio® TP Cone Crushers offer a full range of solutions for large and small mines and quarries. Trio® TP Cone Crusher Series are compact and durable for either mobile or stationary applications. Trio® APP Series horizontal impact crushers are robustly designed for high reduction primary crushing in a wide range of applications when processing low abrasive materials. Trio® APS Series horizontal impact crushers are versatile high reduction secondary crushers that can be applied in hard rock and recycling applications. Our modular support structures are re-locatable assets and represent the most economical way to build a stationary plant or to add onto an existing facility. They are fabricated as structural steel weldments with bolted connections, mounted on skid platforms or base plates incorporating safe and accessible work areas. These pre-engineered modules provide labour saving installation, economical global shipping and an unmatched plant development time. 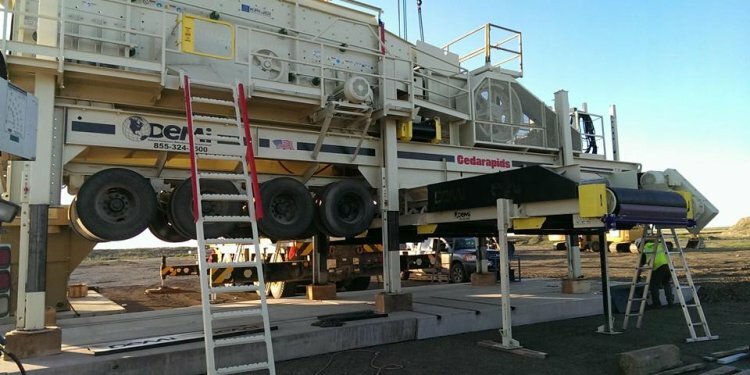 We produce mobile track and wheel mounted plants for mining, aggregate, recycling and industrial minerals applications around the world.